In this teacher-facilitated “Hour of Code™” your students will program a game about searching three missing baby pandas. This includes building a beautiful 3D setting for the game, manipulating and customizing objects, using special effects, testing and combining graphical command blocks and finding and fixing bugs. 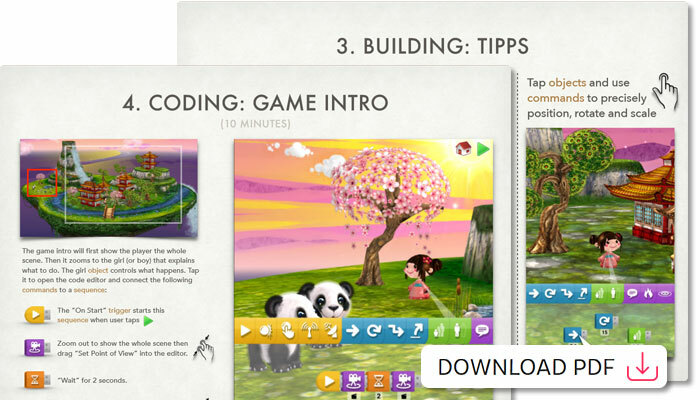 With Freggers Play, everyone can learn and teach how to code in full 3D.